A continued sign that we are still at the bottom of the well is the drop in new home construction. 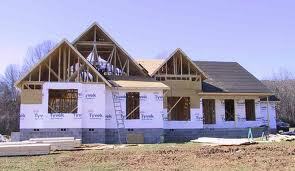 It seems that the housing market is not going to help our economic recovery. That being said, for those who gambled wisely and have money to invest – it’s a great time. In Syracuse there are currently over 100 multi-unit investment properties for sale. It is a buyer’s market, there are bargains to be made and deals to be struck. It’s all about the numbers. Right now we have properties that have sold for $21k even a few around $7k. Granted they require rehab but if you can buy something for twenty thousand, put in 10k in repairs then rent out two units for $1300.00 a month – I think it’s worth looking into. Real estate is a long term game – the days of quick money are over! Real estate is a investment where your money grows over a long period of time. Do your due diligence and make long money not short money . . . Rest in Wealth.